Tecno has launched yet another smartphone called Tecno Camon CX; the successor to the Camon C9. Tecno Camon CX boasts of Dual 16MP rear camera with a single Flash and 16MP front facing camera with Dual Flash for the selfie lovers. The TECNO Camon CX features a fingerprint scanner, 4G LTE enabled, has a 5.5-inch screen display, runs on Android 7 Nougat OS. Below is the full specifications and price of the phone. 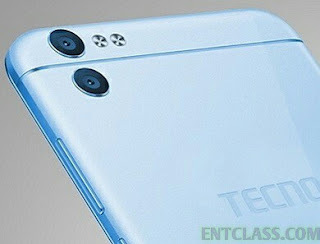 Tecno camon cx specifications. Tecno camon cx released date. Tecno camon cx price in Nigeria, India, Kenya, Ghana.